A year ago as I was looking at some magazines, and saw that knits are becoming a new trend and so I included one of it in my design for our assignment in fashion illustration. The most challenging for me in illustrating is the part where we add the colors into the drawing. I've always thought that my illustrations are way better without a color. Learning doesn't stop from the corners of the school, so help me find my opportunities to improve by giving your comments and insights on this illustration.. I was browsing through my files and found this illustration. I drew this using "paint software" and colored it with the same tool. The design was my personal design though I haven’t created an actual copy yet. 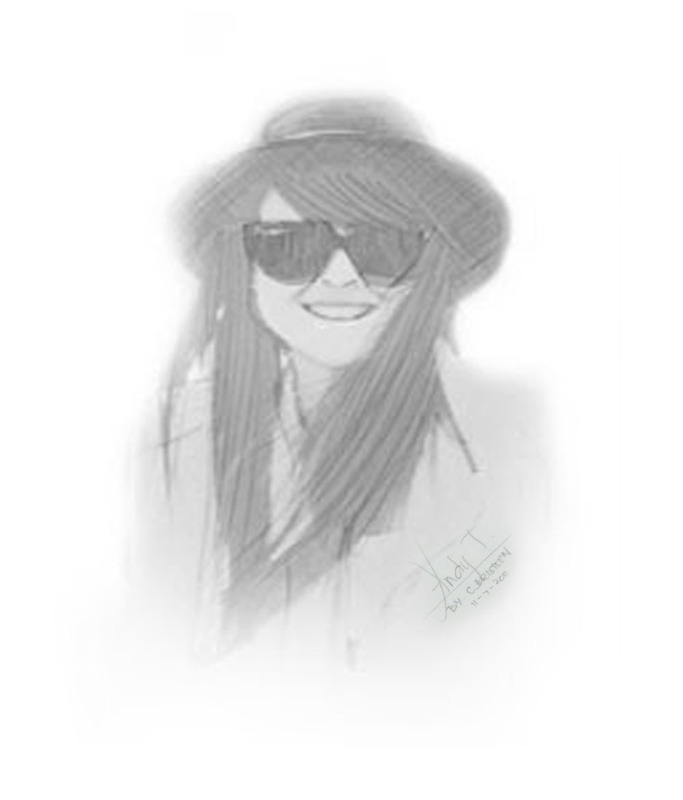 It’s amazing to have drawn something like this in paint isn't it? Have you tried yours? 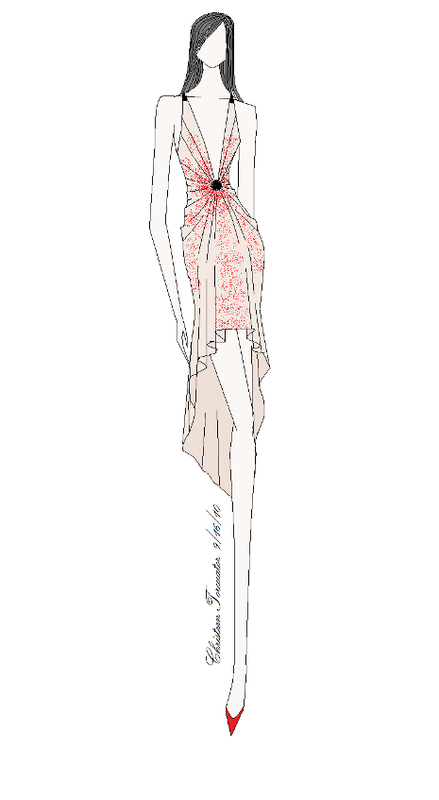 Red dress with Sequenced Top - Learning to do long and soft lines. This design is one of those that I really want to create in actual, but it’s been quite long and still I can't think of a material to use. Hope anyone can suggest a material for this design. 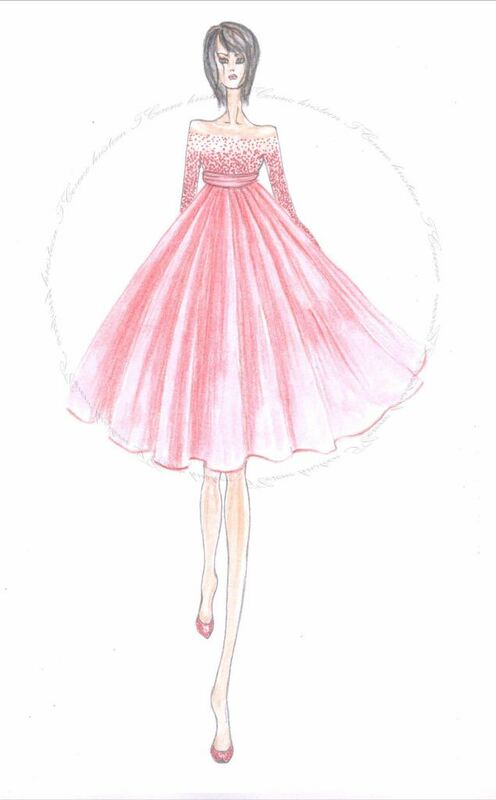 The soft lines in an illustration provided a way better feminine look to a dress. This time I am on my mood to practice making my line softer and relaxed and I realized that is achievable by constant practice. It was so hard for me to create long and continuous line before and until now I am still trying to furnish it. I also tried using a metal pen and a colored pencil in coloring this drawing for a change since I am usually using watercolor or a water color pencil. I wanted to finally figure out what coloring technique works best for me. Versace inspired Illustration – strong and precise lines. My short list ends up with two names that time. I have Versace and Arturo Elena. 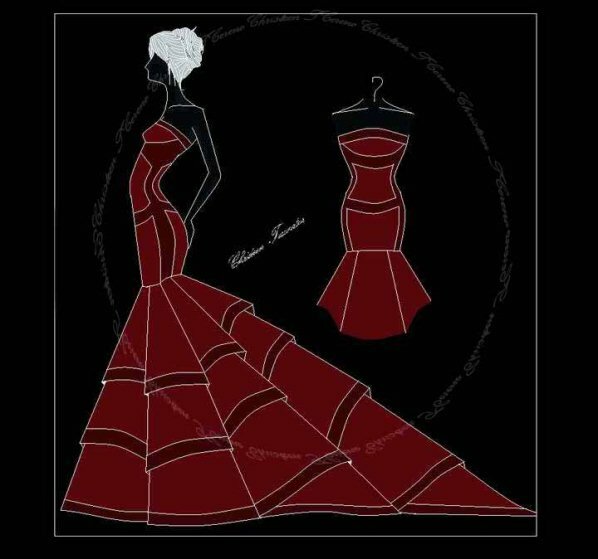 I love Versace’s illustration, its strong line and highly define colors are the one that caught my attention. And Arturo Elena’s works paying so much attention to details is amazing, he made every detail meticulously that no one ever did. When were in the second week of fashion illustration class, we were asked to name our inspirations in fashion designing. 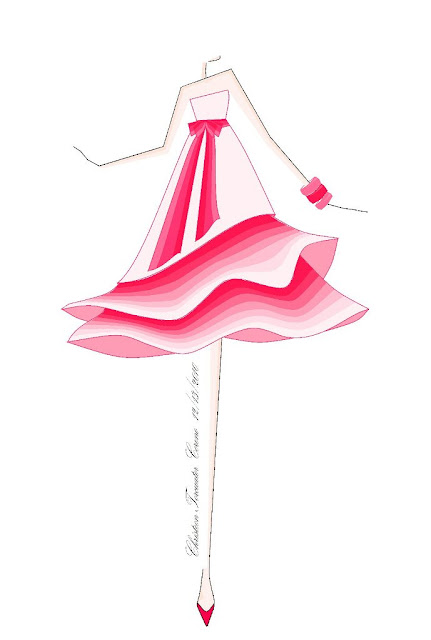 I am not familiar in fashion illustration and designers that time so what I did was surf the web and collect those pictures of design that I admire base on techniques. The illustrator with the most work would be my inspiration. ♥ . Second Sketch for Andy Torres. Andy Torres is one the first person that I followed in lookbook. She has a pretty face and an amazing look all day. Before I went over blogging I was reading out her blog and she’d become my inspiration for some of designs. This was the second sketch I made for Andy Torres. I went for a good rest last week end and go online to get updated and I was just inspired of doing one for her -- so I did. This is the draft one, I am posting it both. Reason of this was again I am not sure enough if which of these two is best perhaps it has something to do with my confidence in coloring; I am not certain if I am good at it – lol! So here is the colored version of Andy Torres look J I am pretty much addicted to a hue so I just created it all in shades of crane. Hope that she'll get chance of including this to her readers art. And just to make a loop, here is my first sketch for miss Andy Toreres.